Your VIP Private Jet, which normally seats more than 40, has been custom-fitted for only 15 travelers with luxurious leather club seats and posh interiors. Your cabin crew will graciously anticipate all of your in-flight needs, while serving first class cuisine with fine wines and champagnes. Experience arrivals like royalty often at private terminals where you hardly realize the usual customs and immigrations formalities have taken place. 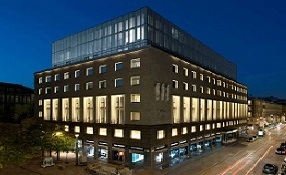 Upon arrival in Milan, your VIP service will meet and transfer you to your centrally located hotel. Enjoy leisure time to become acquainted with your hotel and its fashionable surroundings. Meet your travel companions and Lakani Tour Managers at a welcome cocktail reception and dinner party. Visit the church of Santa Maria delle Grazie to view Leonardo da Vinci’s “The Last Supper.” Join a rally by vintage Alfa Romeo cars for a ride through the city to the Armani Silo and step into the world of Giorgio Armani. Begin the morning with a culinary experience in Polesine Parmense at Antica Corte Pallavicina, home to the Spigaroli family’s cured meat products. Tour its Museum and the cellar of Culatello and sample its products paired with local wines. After lunch, journey to Cremona to tour the Cathedral, followed by a private visit to the Violin Museum. Board your Lakani Private Jet today and ﬂy to the Mediterranean island of Cyprus. Become acquainted with Limassol’s old town, castle area, and marina on an afternoon guided walking tour. Visit Omodos, a village along the Wine Route, where you’ll not only taste its wine, but also learn how to make Cypriot specialties. Tour Timios Stavros Monastery and attend a private dance and musical performance before returning to Limassol. Immerse yourself in ancient Greek history on an excursion to excavations in Paphos and the Kingdom of Kourion. And catch a glimpse of Aphrodite’s Rock just off the shore on your way back to Limassol. for the Dalmatian Coast city of Split. Explore the Diocletian’s Palace, built for the Roman emperor in 305 CE. Considered the most well preserved Roman palace in the world, it is the focal point of the city and has provided inspiration for architecture, art, and ﬁlming locations throughout the ages. Join a curator of the Mestrovic Gallery and marvel at the masterpieces sculpted from marble, bronze and wood by the most famous 20th century Croatian artist, Sculptor Ivan Mestrovic. After a memorable day in Split, re-board the jet and continue to Soﬁa and your uniquely historic hotel in time for dinner and a folkloric dance presentation. a large collection of objects connected to archaeology, ﬁne arts, history, and ethnography. Enjoy a private performance of the award-winning Cosmic Voices Choir at the Boris Hristov Music Center. Pass by stunning mountain scenery on your way to the notable 10th-century Rila Monastery, set in the valley of the Rilska River at 3700 feet above sea level. Tour its museum, church and refectory before returning to Soﬁa. 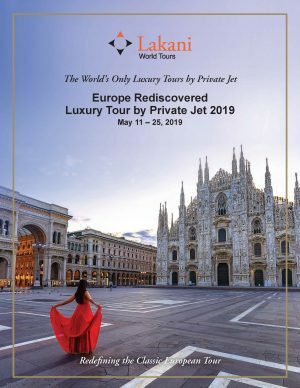 Fly aboard the Lakani Private Jet to Bruges, sometimes referred to as “The Venice of the North” and whose historic city center is listed as a UNESCO World Heritage Site. Become acquainted with the city aboard a horse drawn carriage. Your morning walking tour takes you to the Church of Our Lady where you can see Michelangelo’s sculpture of Madonna and Child. Next door you’ll see the medieval Hospital of St. John, which now functions as a museum. Continue to the Chapel of the Holy Blood, the Belfry, and almshouses. Later, catch a view of Bruges from your canal cruise. Say goodbye or “saluu” to Bruges as you board your Lakani Private Jet for the ﬁnal time to make your way to the land of the Vikings – Scandinavia. 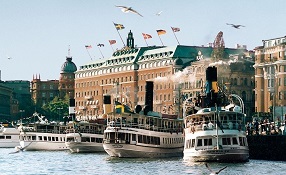 Arrive in Stockholm, Sweden’s capital city that stretches across fourteen islands. The area has been inhabited since the Stone Age, and you’ll learn about its history during your guided walk through the Old Town (Gamla Stan). Stockholm is well known for its Nobel Prize ceremonies, and you’ll be among the privileged to see the Golden Hall where the ball is held after the annual banquet in City Hall. With around 100 museums, it is not easy to choose which ones to visit – but the Vasa Museum is a “must see” with its almost fully intact 17th century ship and discover the Swedish way of life before the industrial era at the Skansen open-air museum. Cruise to Vaxholm, a historic fortiﬁcation on the island of Vaxholmen in the Stockholm archipelago and view its impressive fortress. Gather together with newfound friends to reminisce and share photos at a farewell dinner and cocktail party on your last evening. The purest Armani style and elegance. 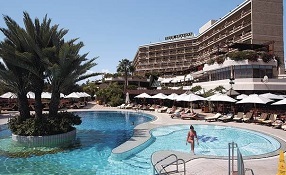 World class hospitality on a sandy beach east of Limassol. 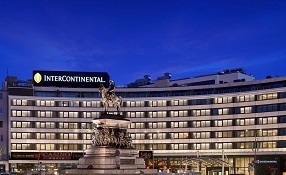 The icon of international modern luxury in Sofia. 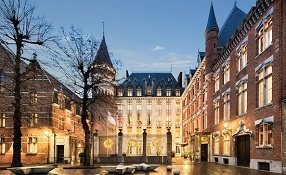 Former residence of the Burgundian aristocracy in the heart of the UNESCO World Heritage city of Bruges. Rich in history and tradition along in a beautiful waterfront location.